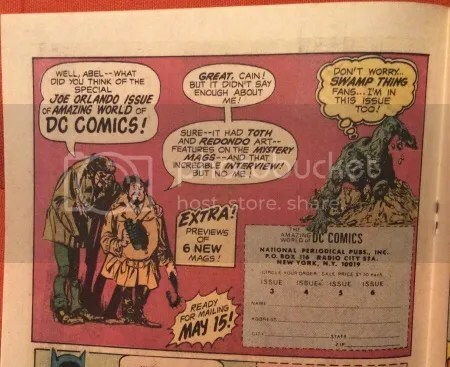 This issue of Our Army features two great Swamp Thing ads. Does this fella look like he’s ready to party or what? 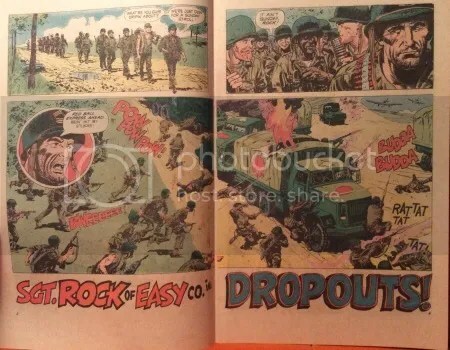 I have fond memories of reading Sgt Rock as a kid. 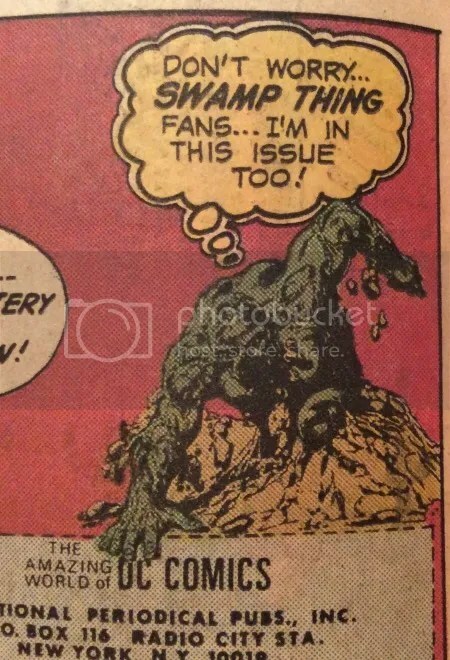 My father used to have a box of old comics and there were a few Rock issues in it. Similar to John Wayne or Clint Eastwood, I saw Sgt Rock as the ultimate tough guy. 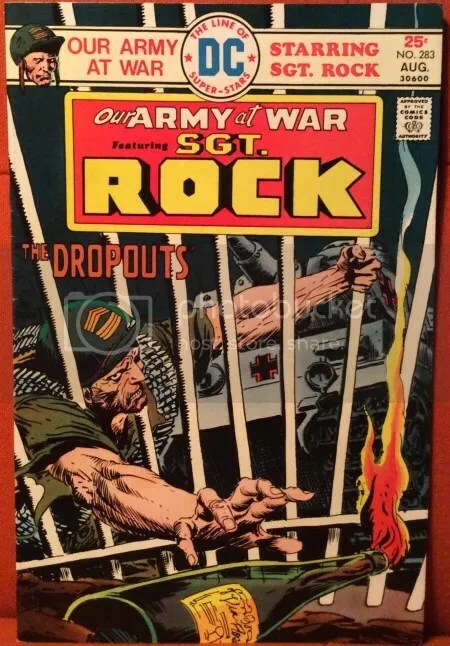 As you can imagine, I was quite excited when Sgt Rock made an appearance in Swamp Thing #82 and 86. 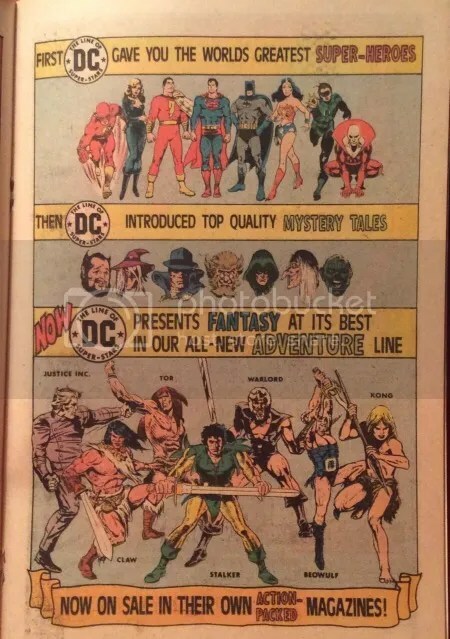 The first ad featuring Swamp Thing is for The Amazing World of DC Comics. 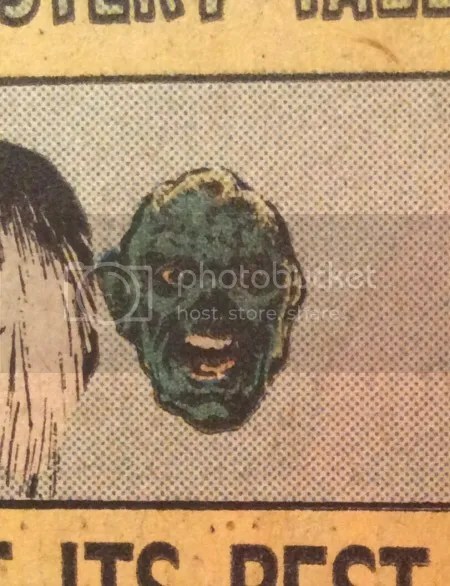 Here, Swamp Thing looks like the type of person who lacks volume control, always yelling during inappropriate moments.